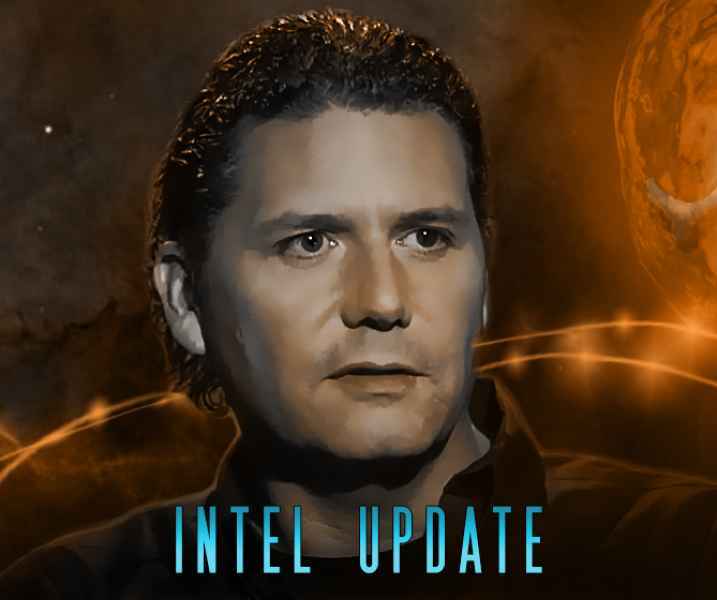 Recent intel release from Corey Goode and David Wilcock at Conscious Life Expo 2017. In Joy! Go to David Wilcock’s site for more info. Go to Corey Goode’s site for more info. Imagine a future where we have full disclosure, and the complete removal of all control structures in our solar system. We rapidly come into contact with incredible new technologies that transform our lives in almost unimaginable ways – and meet a host of new friends in our greater galactic family. In our last update I discussed our need as a group consciousness to choose this “Optimal Temporal Reality.” This probable future is the best case scenario for humanity by far. Right now, each one of us is deciding whether we will co-create this glorious future, or any of a number of other scenarios that could take much longer – and would be significantly less triumphant as well. According to Tear-Eir, we can still achieve this “Optimal Temporal Reality” if we continue to wake up to the corruption and lies we have been fed our entire lives. Not long after publishing this update, I was picked up by a blue sphere. I was lying in bed as usual when the orb’s pale blue light began to shine through my eyelids. I immediately got out of bed and indicated that I was ready for the blue orb to take me to the intended destination. I was not expecting this visit, but I had learned to be prepared with the recent cluster of meetings that have occurred. I was not surprised to find myself in the blue sphere once again. Raw-Tear-Eir was there to greet me in the usual manner and Gonzales was standing a short distance away. I took the opportunity to look above me at the cosmic scene that had been changing each time I had observed it. I noticed that the other blue spheres, close enough for me to see, were now looking a bit more translucent. As I looked closer I also noticed a rippling, water-like effect on them. It looked almost as though someone had thrown a handful of rocks into a pond. There also seemed to be pulses of this rippling effect as though a strong solar wind was blowing them. Once my sight had adjusted to the cosmic scene all around me, I noticed a number of metallic-looking spheres appearing out of the darkness quite a distance away. I could tell they were extremely large, but I didn’t have another object to use as a frame of reference. There were nine of these spheres that I could make out. The spheres looked to be about the size of my thumbnail from a fully outstretched arm. This led me to estimate they might be about the size of Earth’s Moon. Tear-Eir suddenly glided to within ten feet of me, and began to communicate about the “300,000 ascension-ready” people that I had reported on earlier. He indicated that my delivery of that intel had caused a lot of anxiety in those who received it. These people put out a call for clarity, so Tear-Eir indicated he wanted me to deliver the information more clearly this time. The 300,000 figure was provided after I had expressed an interest in the number of people who are ready for energetic changes (ascension.) I had also asked what percentage of “service to others” (STO) those around me and I had currently achieved in our journey. I was more than a little bit shocked and troubled by the answers I received. Not only was I not in the 300,000, my STOpercentage was much lower than I would have guessed. I believe this is probably true of most of us on the planet right now. Tear-Eir then communicated that at the moment I had expressed interest in this subject, the number of people ready to ascend was less than 300,000. It was further communicated that this number is in a constant flux from moment to moment, as is our temporal reality. Raw-Tear-Eir then communicated that some of the number given indeed included children. However, many other children will also be moving on to higher densities as we go through the shift, even though they are not part of the 300,000 figure that was given. Millions of children and adults are ET souls or “Wanderers”, and their numbers were not included in the 300,000, for reasons we will now explain. The Law of One series is the main “revealed teaching” that the Sphere Beings have endorsed as being accurate and useful for us at this time. It now appears that the Blue Avians are the same beings that contacted the ancient Egyptians as “Ra,” the bird-headed entity. They again spoke as Ra in the Law of One series from 1981 to 83. This connection was unknown to any of us when my contacts began, and was a matter of great surprise to everyone when William Henry approached us with this data. Once I finally began reading the Law of One myself, the beings began speaking to me in very similar-sounding language – further revealing their identity as the source of this material. On a practical level, this means that studying the Law of One series can give us far greater insights into the philosophy and practices of the sphere beings. By now, those numbers are significantly higher – possibly up to 300 million or more. With a population of seven billion, that would mean a little over one out of every 23 people on Earth is an ET soul. If you are a regular reader of these updates and feel they resonate deeply with you, there is a very good chance that you are a Wanderer as well. In Law of One terms, these souls have come in from a level significantly more advanced than the basic requirements for graduation from third to fourth-density life. For this same reason, the vast majority of Wanderers will return to their “native density” as we go through the “quantum leap” referred to in the Law of One. Therefore, the number of 300,000 only referred to a select group within the greater majority of people on Earth who have never lived above third-density vibration at this point in their journey. The efforts of Wanderers are focused on helping inspire these third-density folks to become more conscious, loving and forgiving people. The only real danger Wanderers face is by becoming “consciously unloving” to a significant-enough degree in one or more lifetimes that a multi-incarnational “karmic alleviation” is then required. In certain rare cases, this might cause them to miss out on our soon-to-be upcoming graduation and have to repeat another 3D cycle. This is explained in various places in the Law of One, such as Session 16, Question 61, featured below. 12.27 Questioner: How many [Wanderers] are incarnate on Earth now ? Ra: I am Ra. The number is approximate due to an heavy influx of those birthed at this time due to an intensive need to lighten the planetary vibration and thus aid in harvest (ascension). The number approaches sixty-five million. 12.28 Questioner: Are most of these from the fourth density? What density do they come from? Ra: I am Ra. Few there are of fourth density. The largest number of Wanderers, as you call them, are of the sixth density. The desire to serve must be distorted towards a great deal of purity of mind and what you may call foolhardiness or bravery, depending upon your distortion complex judgment. The challenge/danger of the Wanderer is that it will forget its mission, become karmically involved, and thus be swept into the maelstrom from which it had incarnated to aid the destruction. 12.29 Questioner: What could one of these entities do to become karmically involved? Could you give us an example? 12.30 Questioner: [i] thought. Do any of these Wanderers have physical ailments in this Earth situation? The most common of these difficulties are alienation, the reaction against the planetary vibration by personality disorders, as you would call them, and body complex ailments indicating difficulty in adjustment to the planetary vibrations such as allergies, as you would call them. 16.61 Questioner: And if a Wanderer were to be successfully infringed upon, shall I say, by the Orion group, what would happen to this Wanderer at the harvest? The Biblical term Harvest, such as from the Book of Matthew, is the primary term used in the Law of One for what we usually call Ascension. The original Bible quote describes how the “wicked” will be “severed from among the just” at this time, much like a gardener pulling weeds – hence the term Harvest. There is still some degree of mystery about exactly what will happen, and how – and some of this was cleared up in the contacts I received in this update. In Session 34, we also hear that karma need not be seen as a huge, fearful thing. It can be absolved very quickly, as we are about to see. In Session 65, the Earth is compared to a grocery store, where the choices we make are represented as various containers on the shelves. 34.5 Questioner: If an entity develops what is called karma in an incarnation, is there then programming that sometimes occurs so that he will experience catalyst that will enable him to get to a point of forgiveness, thereby alleviating the karma? Ra: I am Ra. This is, in general, correct. However, both self and any involved other-self may, at any time through the process of understanding, acceptance, and forgiveness, ameliorate these patterns. This is true at any point in an incarnative pattern. Thus, one who has set in motion an action may forgive itself and never again make that error. This also brakes or stops what you call karma. 65.12 Although you have many, many items which cause distress and thus offer seeking and service opportunities [on Earth at this time], there is always one container in that store of peace, love, light, and joy. This vortex may be very small, but to turn one’s back upon it is to forget the infinite possibilities of the present moment. Could your planet polarize towards harmony in one fine, strong moment of inspiration? Yes, my friends. It is not probable; but it is ever possible. Raw-Tear-Eir communicated that many of today’s children are Wanderers, and therefore are here to help us through these times of change. This was a major relief to me. Additionally, Tear-Eir said many adults are also Wanderers – here from soul groups that were formerly outside this planet, and from other densities that have come here on similar missions. These people are also here to contribute to the mass consciousness and assist in the transition to a higher vibration. Humanity has been so incredibly conditioned by negative forces that they tend to cling to third-density reality. These souls are here to help us let go of the old paradigm. I was told that the Wanderer’s specific mission is to bring a loving vibration, as well as to be present during the great consciousness shift and help lead us into a new reality. If what Ambassador Micca told me about his culture is true, once we go through this shift, we are looking at a “Conscious Renaissance” that will launch humanity into a new era – where we will refer to the times we are in now as “The Dark Ages”. The internet has already put us well on our way towards having “all understanding/distortions available to the entities of the society,” which is what we need to reach. With a “group memory” available to all, no secrets can be kept. No lies, deceit and trickery can exist. We learn from our past and ensure that we do not repeat the negative aspects. We have full transparency in all aspects of government and society. 11.16 Questioner: What do the crusaders do? Ra: I am Ra. The crusaders move in their chariots to conquer planetary mind/body/spirit social complexes before they reach the stage of achieving social memory. 11.17 Questioner: At what stage does a planet achieve social memory? Ra: I am Ra. A mind/body/spirit social complex becomes a social memory complex when its entire group of entities are of one orientation or seeking. The group memory lost to the individuals in the roots of the tree of mind then become[s] known to the social complex, thus creating a social memory complex. The advantages of this complex are the relative lack of distortion in understanding the social beingness, and the relative lack of distortion in pursuing the direction of seeking, for all understanding/distortions are available to the entities of the society. I was also shown visualizations of the merging of temporal realities known to many as the “Mandela Effect.” In this merging of realities, many major historical incidents that would have already happened to us have been “edited” out of our reality. I was shown a vision of what looked like a wall of crystal rods that were slowly turning. As these crystals turned, a prism effect occurred in which I saw events instantly change. Moreover, the people in that new reality would have no memory of the previous one. This quote also suggests that once we reach “social memory,” our consciousness will change so dramatically that it will be almost impossible to imagine what it will be like. I wondered if one day, after one of these mergers occurs, we will suddenly find ourselves in a reality where disclosure and the defeat of the current control structure on our planet has already occurred, and no one has memory of our current reality in which so much is being kept hidden from us. The beings answered in the affirmative. They said this phenomenon is a major component of the shift we are going through right now. The quote from Isaiah further supports that something like this may actually happen from a scriptural standpoint. Raw-Tear-Eir then stated that those of us working on the optimal temporal reality need to focus more on positively influencing our mass consciousness instead of fostering our current belief systems or looking to validate them. Personally, I was told that I need to focus less on the non-terrestrial and Secret Space Program, and more on educating and empowering people about the true nature of the collective co-creative consciousness that we all contribute to. I communicated to Raw-Tear-Eir that I am not an expert on consciousness, nor am I qualified to teach consciousness or spirituality. The response was similar to what was communicated in the past. Raw-Tear-Eir stated that in the near future, individuals with this type of educational background would be led into my inner circle. Since that time, I have begun networking with exactly these types of people. We then went into a deep discussion about the spiritual and emotional states of individuals who are currently in my inner circle, as well as what changes I need to make within myself. This is always a humbling experience. Some of this information closely mirrored what Ka-Aree had been communicating to me in recent months. Usually when we interface about these subjects it means the conversation is nearly over. I was still curious about the metal spheres I saw when I first arrived. After some recent hasty endings to our meetings, I wanted to make sure I was able ask about what I had seen. In our most recent Gaia tapings where David discussed this with me, he speculated that these spheres may be used to help certain groups of people relocate to other worlds. 10.6 When there is a cycle change, those who must repeat then find a planetary sphere appropriate for this repetition. The method of transfer was never explained, but it seems likely that these giant spheres are of sufficient size and capability to house and transport millions of people as needed. David shares multiple insider testimonies about Earth’s Moon being an ancient device of this sort in his new book The Ascension Mysteries – along with the evidence. I was picked up by the blue sphere again and returned to my bedroom. I climbed back into bed and stared at the ceiling for a few hours, processing the experience. No matter how many times I am brought to a blue sphere, I have the same integration and processing experience afterward. I received a few communications from Ka-Aree over the next several weeks, mostly through what we have referred to as “the construct”. This is an area that appears to be all white, in which all I see is the two of us talking to each other. Ka-Aree had described how over the millennia, groups had been evicted from each of the inner-earth civilizations because they were interfering in human affairs in a way that was not customary or considered acceptable for these groups. These former dwellers of the inner earth became “The Banished”, and now live on the surface among us. They blend in as much as possible, striving to attain places of power in human civilizations and living in enclaves all over the world. The encounter I had with one of these Banished was in the last week of July in our hotel room while my family was sleeping. When I communicated this event with Ka-Aree, she showed concern and seemed as though she was observing me more closely than usual.